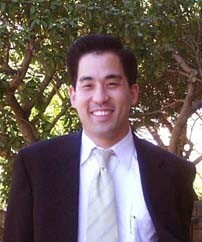 Christopher S. Sugimura , D.M.D. Before starting his dental practice in San Francisco; Dr. Sugimura practiced in Boston And New York including a residency at St. Clare's Hospital in New York. He has been a member of the ADA (American Dental Association) and he is currently a member of the CDA (California Dental Association) and SFDS (San Francisco Dental Society).He served as chairman for the New Professional's Forum for the SFDS, and he is currently on staff of St. Mary’s Medical Center and serves in the Department of General Dentistry. Dr. Sugimura provides both the surgical and restorative phases of Implant dentistry. Please call us to set up a FREE CONSULTATION on how implant dentistry can work for you.